Your website is crucial to your existence as a modern company. It's practically impossible to run a successful brand without investing plenty of time and effort into your online presence, as your website will help to raise awareness for your company, and bridge the gap between you, and any potential new customers who are looking for the solutions that you can offer. Unfortunately, while anyone can build a website these days, a lot of companies jump head-first into the process without thinking carefully about their strategy or establishing a plan of action. Knowing which points you need to keep in mind when creating the perfect online experience can ensure that you not only earn the attention of your audience but keep them coming back to your website for years to come too! 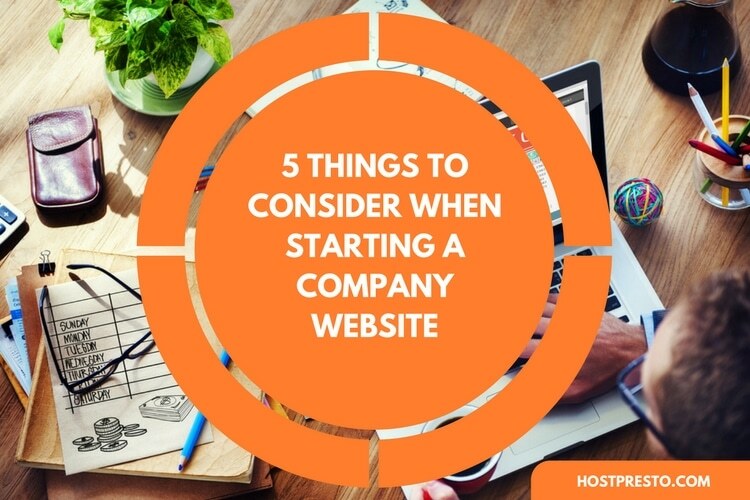 Here, we'll look at just five of the things you need consider carefully before you start your company website. 1. How Are You Going to Use your Web Copy? Copy, or the text that appears on your website, is the backbone of your web presence. According to experts, the average human attention span is about eight-seconds long, thanks to an ever-more distracting digital environment. This means that the language you use on your website needs to be short, to the point, and accessible enough to grab your customer's attention. The right content will help to add incredible value to your website when it's used properly. Not only will it give your customers the resources they need to access information quickly and effectively, but it will also improve your chances of higher rankings in the search engine results. Keep things as short and succinct as possible, but remember to think carefully about things like keywords and phrases that might help you to rank more naturally in the search engines. While you can write as much as you like in your blog posts and articles, (in fact, the longer your posts are, the better in some cases), it's a good idea to keep the evergreen content on the pages of your website as short and simple as possible. A few hundred words are more than enough to help you describe the background of your company to your audience. 2. What Will Your Design Look Like? Design is an important element of building an incredible website, but it's important to make sure that you don't let it take up too much of your time. The more you focus on design, the more likely you are to ignore other important aspects of your online presence, like how you plan to market yourself online, or what you're going to do in terms of promotion. The key thing to remember with design is that the aspects you choose need to represent your company and your brand personality clearly. Select colours and images that match your brand identity, and make sure that you stay away from stock images at all costs. Pictures are a great way to improve the engagement potential of your pages, but stock images are difficult to connect with. 3. What Will Your Domain and URL be? Your domain and URL is how people find you on the internet. 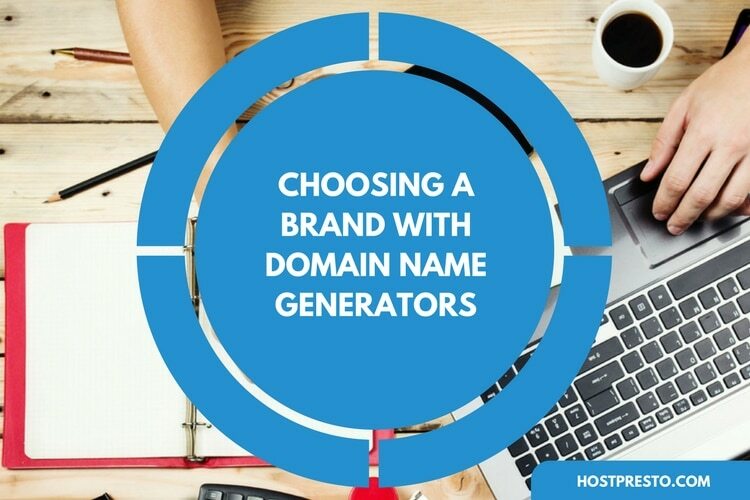 In most cases, companies will choose a domain name that matches the name of their business. Of course, problems can arise when your business name is already connected to another .com domain. The good news is that you don't have to be too discouraged if your name is already taken. Sometimes, you can use creative solutions to create an even more powerful domain name, featuring a keyword, or phrase. Additionally, you can always consider using different domain suffixes, such as .co.uk instead of .com. However, it's worth noting that .com is still the most popular option because it's so accessible to customers around the globe. If you can use the .com suffix, then you probably should, even if that means re-thinking your name as a new business or start-up. 4. Which Systems Will You Use? It's important to remember that the functionality of your website has a direct impact on how people view your brand. If your website is badly organised, or difficult to navigate, then people are likely to get a bad impression of your business overall. 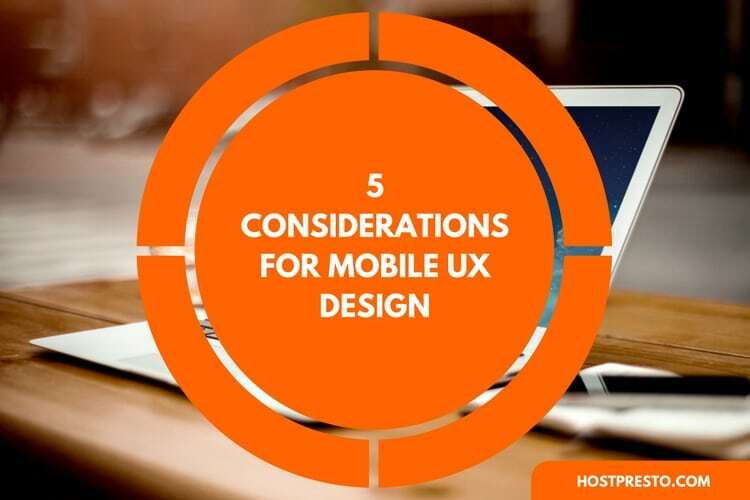 You want to make sure that you look as credible and professional as possible to your users, so make sure that the systems used on your site can help you to convey that idea. Think about the shopping cart, and whether it's configured to make sure that your customers feel safe when they're browsing online. If you want your customers to share your messages with social media friends and family, then have you got social buttons available that are easy to access and use? Even the navigation strategies you access through your website should help to provide your customers with a more reliable and pleasurable experience online. 5. How Will You Measure Your Performance? Finally, before you begin using your website for marketing and brand awareness purposes, you'll need to think carefully about the analytics you're going to use, and the different strategies that are available for measuring your performance. If you're consistent about how you represent your company online, then you should be able to deliver a successful website that effectively serves the needs of your customers and your company. However, if you want to ensure that your results keep rolling in, then you need to measure your performance with the right analytics. Analytic strategies are a fantastic way for companies online to make sure that their businesses are growing in a positive way. A lot of brands fail to realize that they can use services like Google Analytics to figure out where their traffic is coming from, and which visitors are coming to their site most often. However, the data that you get from this analysis can be an extremely valuable asset as you begin to create tailored campaigns to improve your brand performance. Remember to set yourself up to track your results when you're building your website.